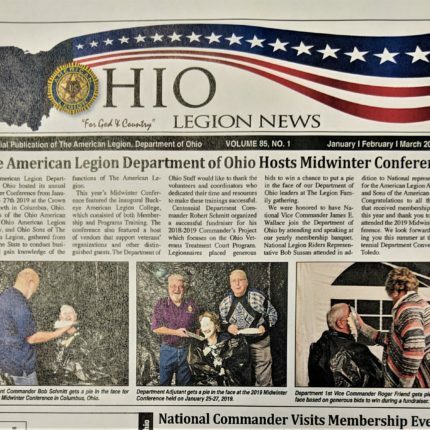 Photos can be submitted via email to legion@ohiolegion.com or Hopson@ohiolegion.com with the subject line: “OLN Submission.” Photos should be accompanied by a two-three sentence write-up consisting of Post number, individuals pictured (left to right), what was taking place, and when the event occurred. 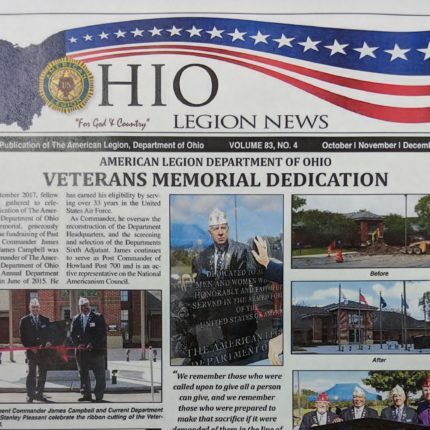 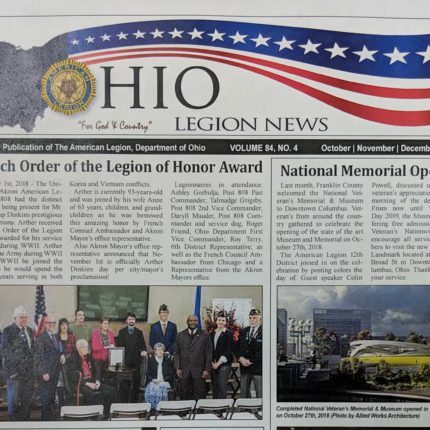 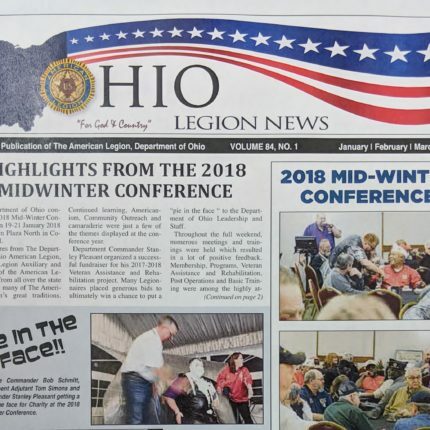 Please click on and download the submission form for the Ohio Legion News. 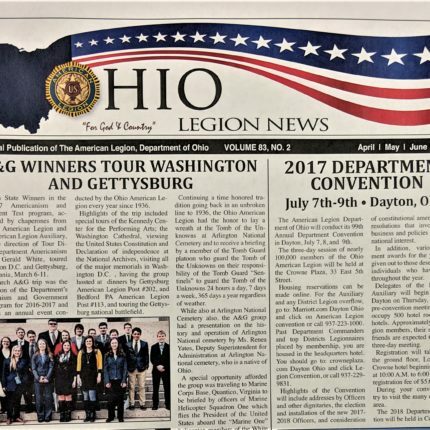 It is a writable .pdf form; so please feel free to include this completed document along with any mailed and emailed submissions. 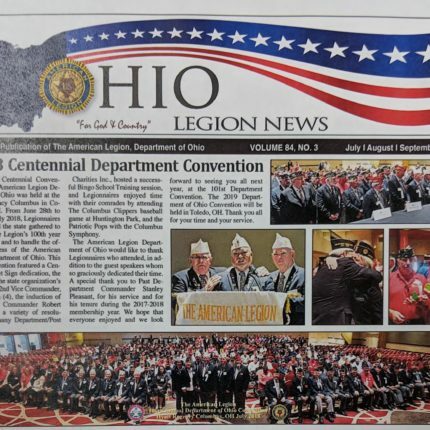 If you have any questions regarding submissions or anything else pertaining the the Ohio Legion News please contact at 740-362-7478. 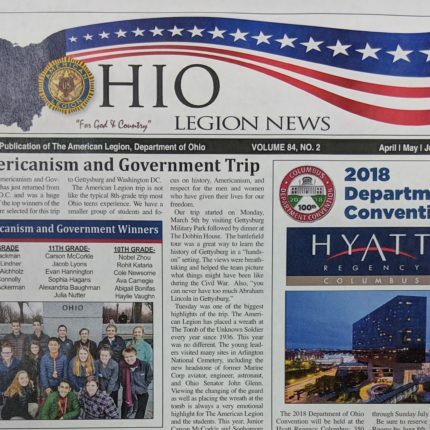 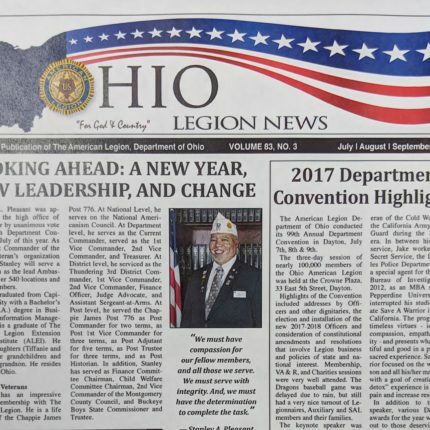 If you wish to no longer receive the Ohio Legion News in the mail please complete the form found here.